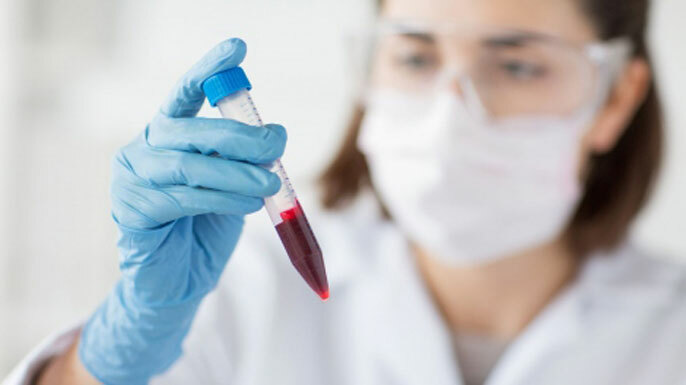 A new blood test for children with brain tumors may offer a safe way to allow doctors to measure the effectiveness of treatment even before changes are identified on scans, according to research led by UCSF Benioff Children’s Hospitals and Children’s National Health System. At a time when neuro-oncologists are reimagining treatment of high-grade and refractory brain tumors, and turning to targeted therapies that match a tumor’s mutations, there is a heightened need to monitor tumor growth, evolution and response to treatment, said co-senior author Javad Nazarian, Ph.D., of Children’s National Health System and George Washington University School of Medicine and Health Sciences in Washington, D.C. Authors: The study’s first author is Eshini Panditharatna, Ph.D., of Children’s National Health System and George Washington University School of Medicine in Washington, D.C. Co-authors are Lindsay Kilburn, M.D., Madhuri Kambhampati, Heather Gordish-Dressman, Ph.D., Suresh Magge, M.D., John Myseros, M.D., Eugene Hwang, M.D., and Roger Packer, M.D., of Children’s National Health System. Also Marian Aboian, M.D., Ph.D., Nalin Gupta, M.D., Ph.D., Cassie Kline, M.D., Soonmee Cha, M.D., and Michael Prados, M.D., of University of California, San Francisco and UCSF Benioff Children’s Hospital San Francisco; John Crawford, M.D., of UC San Diego; Katherine Warren, M.D., of the National Cancer Institute in Bethesda, Md. ; Winnie Liang, Ph.D., and Michael Berens, Ph.D., of Translational Genomics Research Institute in Phoenix; and Adam Resnick, Ph.D., of Children’s Hospital of Philadelphia. Funding: The study is supported by grants from the National Institutes of Health and the American Society of Neuroradiology. Additional funding comes from the V. Foundation, Goldwin Foundation, Pediatric Brain Tumor Foundation, Smashing Walnuts Foundation, Zickler Family Foundation, Piedmont Community Foundation, Musella Foundation, Matthew Larson Foundation and the Childhood Brain Tumor Foundation. Disclosures: The authors report no conflicts of interest.